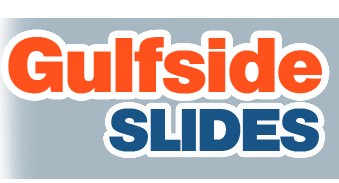 Slide into fun in Land O Lakes - Lutz - Tampa with a water slide or bouncer today! 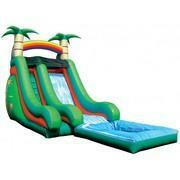 18 Foot Water Slide - Tropical Splash! 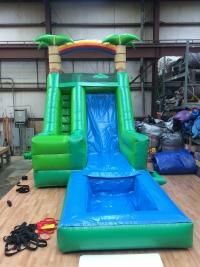 Bring the Tropical Water Slide Theme to your Next Event! 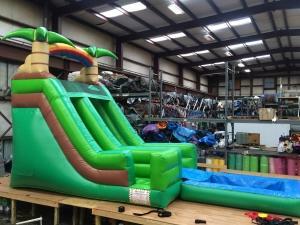 This 18 foot water slide with pool makes any party or event awesome! 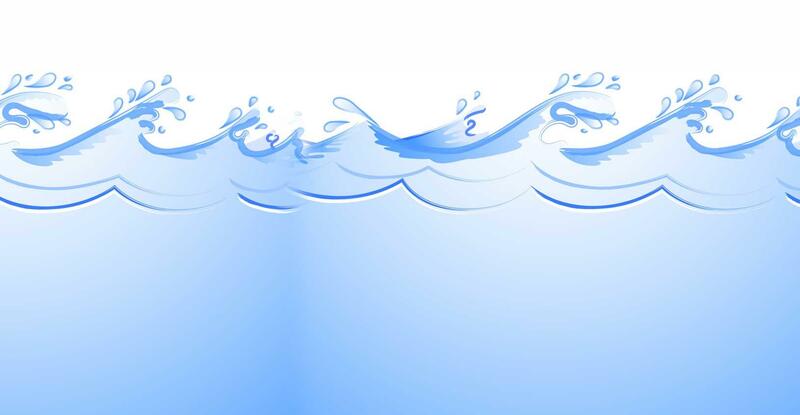 Featuring two palm trees straight out of the tropics, this theme fits perfectly into any Florida party! 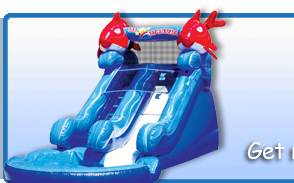 Total slide length is 30 feet long with the pool!